Excavation is a different way of referring to the mass removal of dirt and debris from land. This is to build a strong and safe foundation for a project like building a house, pavement, drainage and irrigation, or simply putting a beautiful garden in your backyard that will grow strong and support the plants’ for a long time. If you want to know if your project requires excavation, give us a call today and find out! Site clearing is exactly what the term implies. This process entails the removal of everything that is in a certain area of land in order to allow other projects to get going like excavation, demolition, or simply because you want it removed. This means removing trees, bushes, plants, trash and/or concrete. The removed debris is hauled out and recycled in order to prepare the site for the next project. The most dire mistake a homeowner can make with their drainage system is to trust a non-expert in this area. When non-experts are given this task to design and build a drainage system that protects the house’s foundation, long-term effects can be detrimental. NOECON examines how the water enters the spaces, creates an adequate system and then they are placed properly. We build in a membrane system that will help safeguard the foundation. A well-designed drainage system like ours should keep water away from your home. service at the most competitive prices in Silicon Valley. 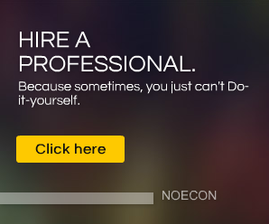 Only NOECON delivers demolition, hauling and excavation projects with true high quality. And with NOECON, you don’t have to worry about getting permits or creating site plans, we do it all. So you can focus your attention on more important things – like getting a good night sleep. See our interview onBayAreaForSale.com, a top site for California real estate, including Texas real estate, California homes for sale and San Jose, CA real estate:The Facts About Swimming Pool Removal. 510-435-0829 to schedule a free in-home consultation to receive an estimate proposal. Residential pool removal/demolition, excavation other construction services in the: Silicon-valley,California,Alameda ,Albany, Atherton, Berkeley, Belmont, Castro Valley, Campbell, Cloverdale, Cupertino, Dublin, Gilroy, Hercules, Hillsborough, Livermore,Los Altos, Los Altos Hills, Los Gatos, Martinez, Menlo Park, Milpitas, Millbrae,Mill Valley,Morgan Hill,Mountain View, Orinda,Palo Alto, Pittsburg, Portola Valley,Pleasant Hill, Pleasanton, Redwood City, San Carlos,San Mateo, San Jose, Santa Clara, Saratoga, Sebastopol,Stanford, Sunnyvale,Woodside. Inground swimming pool removal – dig my pool out and remove my pool.A Demolition Company.